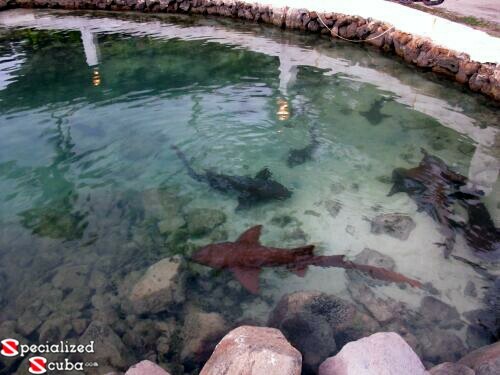 Near one of the restaurants on Union Island in The Grenadines you'll see this Shark Tank. Sometimes these sharks are shy and they hide underneath where you cannot see them. The guests aboard this trip really enjoyed watching the sharks swimming around in the tank. Just be sure to keep your balance, it's not a place for people to swim!